Big Chubs is – well, BIG! He’s one of our life size bears, 5ft (60in) tall, but he’s also just big and cuddly all over with a chubby tummy and large round arms and legs. Everyone loves him! He’s kicking up the romance factor with his custom Valentine’s Day shirt. 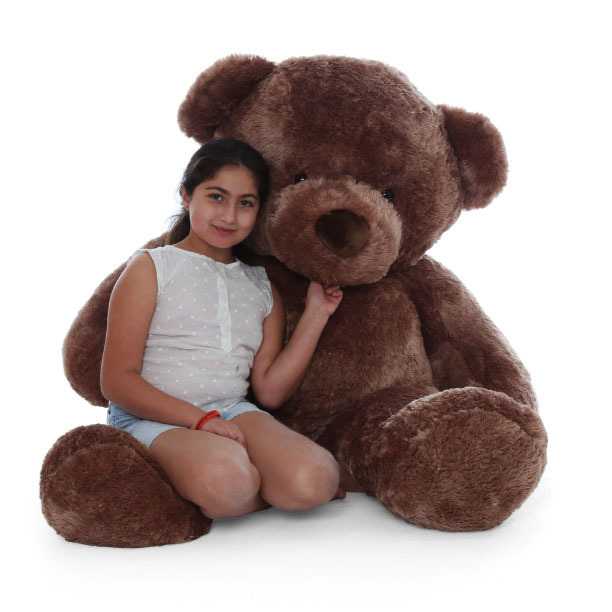 Show someone special some Giant Teddy bear love on February 14th! The custom shirt is specially sized for our 5ft (60in) Big Chubs teddy bear, and is washable and removable. It is white, with “Will You Be My Valentine?” printed on the front. Don’t forget the greeting card! Type up to 70 words in the “Card Message” box and we’ll print it inside one of our custom Giant Teddy full size greeting cards and tuck it in the box with Big Chubs.